Can literature heal? The Poetics of Palliation argues that our answers to this question have origins in the Romantic period. In the past twenty years, health humanists and scholars of literature and medicine have drawn on Romantic ideas to argue that literature cures by making sufferers whole again. But this model oversimplifies how Romantic writers thought literature addressed suffering. 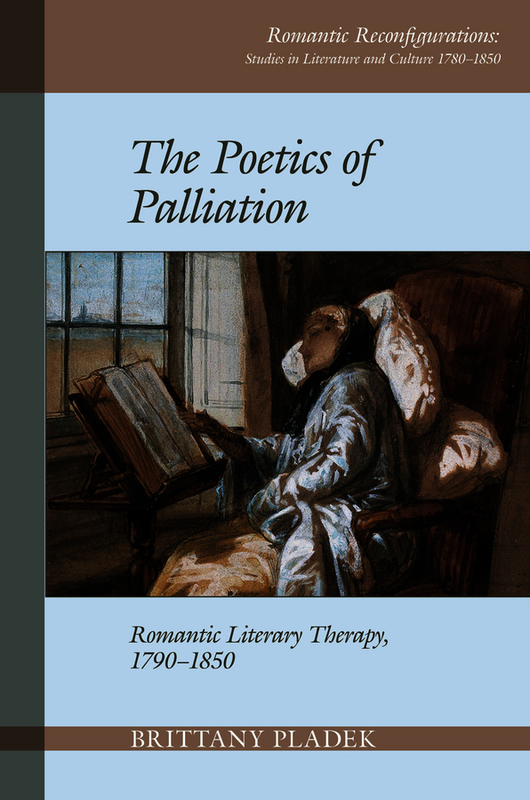 Poetics documents how writers like William Wordsworth and Mary Shelley explored palliative forms of literary medicine: therapies that stressed literature’s manifold relationship to pain and its power to sustain, comfort, and challenge even when cure was not possible. The book charts how Romantic writers developed these palliative poetics in conversation with their medical milieu. British medical ethics was first codified during the Romantic period. Its major writers, John Gregory and Thomas Percival, endorsed a palliative mandate to compensate for doctors’ limited curative powers. Similarly, Romantic writers sought palliative approaches when their work failed to achieve starker curative goals. The startling diversity of their results illustrates how palliation offers a more comprehensive metric for literary therapy than the curative traditions we have inherited from Romanticism. Brittany Pladek is Assistant Professor of English, Marquette University.